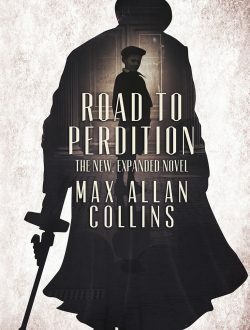 The new, expanded edition of Max Allan Collins’ ROAD TO PERDITION won a coveted STARRED REVIEW from Publishers Weekly today and we’re so excited that we have to share the good news…and, of course, the review! Collins (Quarry in the Black) expands this crime tale set in Depression-era Chicago—originally a graphic novel and later a Sam Mendes–directed film that was itself novelized—into a terrific full-length novel. Michael O’Sullivan, a notorious enforcer and hit man for Irish-American gangster John Looney, is also a family man, and does his best to compartmentalize his two roles. 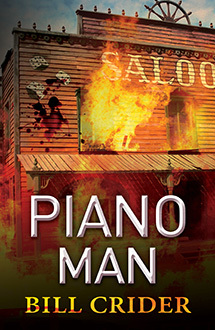 When O’Sullivan’s 12-year-old son, Michael Jr., sneaks along for one of his father’s nighttime outings and witnesses an execution conducted by Connor Looney, the boss’s impetuous son, Michael Jr. unwittingly puts his family in grave danger. O’Sullivan appeals for help to Frank Nitti, the rising mobster poised to replace an ailing Al Capone. The Italian mob, however, is disinclined to alienate the Looney gang for financial reasons, and O’Sullivan finds himself and his son on their own, pursued by numerous parties. Based partly on real historical figures and events, Collins’s modern classic really shines in this new incarnation. The book comes out November 1st, but it’s available for pre-order now, in digital and paperback, from Amazon, Barnes and Noble, iBooks, Kobo and Google Play.